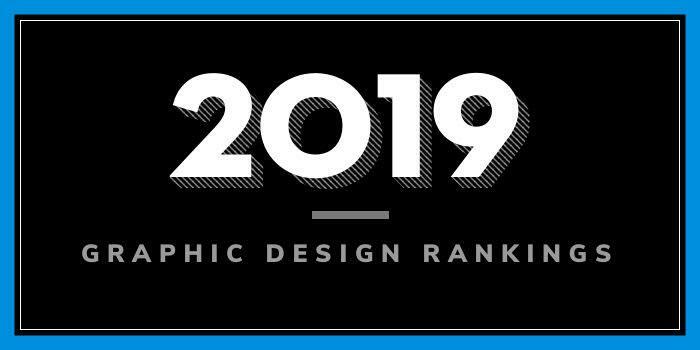 Our 2019 rankings of the top 10 graphic design school programs in Pennsylvania. For an explanation of the ranking criteria, click here. Founded in 1900 and serving nearly 14,000 students, Carnegie Mellon University (CMU) houses more than 100 centers and institutes. CMU students have access to over 100 programs across seven colleges and schools. The College of Fine Arts is home to the School of Design—one of the oldest design programs in North America. Here, students can earn a Bachelor of Design (BDes) degree with one of the following Track options: Communications (Graphic Design), Products (Industrial Design), and Environments (both physical and digital). A Minor in Design is also available. In the spring each year, the School of Design hosts “Confluence, a career event attended by more than 70 top companies. Confluence helps students land summer internships (particularly after the second and third years in the program), adding real world design experience to their growing list of credentials.” By the third semester, students begin to focus their attention on two preferred tracks.” Study abroad opportunities become available to students during the junior year. In the final two semesters of the program, “students work in multi-disciplinary teams and apply disciplinary expertise to capstone projects in the areas of Design for Service (Sv) and/or Design for Social Innovation (Si).” Graduates are prepared to seek positions in the field or apply to graduate school. CMU offers a Master of Design (MDes) program that the school says is rooted in Information and Communication Design. The program takes two years to complete. The College of Art, Media & Design houses the School of Design, which offers a BFA in Graphic Design and a BFA in Illustration with nine concentration options including Graphic Design Communication, Graphic Design Typography, Painting and Printmaking, Animation Movement, Animation Visual Development, Game Art, and Photography. The BFA in Graphic Design prepares students for employment in fields ranging from publication design to motion graphics to branding and more. The cross-disciplinary program offers courses such as Advanced Digital Interactive Techniques, Communication Media and Strategies, Digital Interactive Techniques, Visualizing Language I: Typographic Hierarchies, and Electronic Media/Production. During the final year of the program, students will take Senior Studio, Design Strategies: Nonlinear Narratives, Design Strategies: Brand Identity, Applied Design Laboratory, and the Design Internship. The BFA In Illustration program blends creative visual problem solving, digital experiences, drawing, figure modeling, illustration, painting, picture making, digital experiences, as well as specialized graphic design courses, self-discovery through mentor-student relationship, and history of pictorial image making. Sample courses include Communication Design, Figure Anatomy, Illustration I-IV, Image/Time, Materials, Responsive Drawing, and Words, Images & Idea. Founded in 1866 as the Keystone State Normal School, Kutztown University of Pennsylvania (KU) serves approximately 8,309 students from 28 states and 40 countries. The school offers 160 major programs through four colleges. The College of Visual and Performing Arts houses the Communication Design Department (KUCD), which offers BFA and MFA degrees in Communication Design (Graphic Design). The Communication Design Department has the largest number of majors within the College of Visual and Performing Arts and the graduate program is the first & only MFA in Communication Design within the Pennsylvania State system. Per the school, BFA students begin the program with foundations: drawing, design and digital skills. Sophomores study the foundations of design: typography, visual thinking, illustration techniques, and more digital skills courses, along with Historical Survey of Graphic Design and studio classes in digital photography or life drawing. The MFA is a low-residency program that requires just three weeks on-campus a year—one week each fall, spring, and summer. The program “promotes a well-rounded education through the study of design history, contemporary topics, typography, emerging media, and the exploration of personal and professional goals.” Other program highlights include customized learning, the opportunity to work one-on-one with faculty, and the opportunity to create “an original capstone graduate research project exploring” your “creative path to professional or academic aspirations.” The Capstone is 12 credits. The Graphic Design program at Drexel University’s Westphal College of Media Arts & Design is a 4-year BS degree program and prepares students for a career in graphic design. Students learn to conceptualize, visualize and realize visual communications through the rigor of project-based exploration and experimentation based on the formal foundations of typography, image-making, aesthetics and critical thinking. Graphic design students are immersed in all aspects of visual communications including books, magazines and publications (print and screen-based), posters, advertising, packaging, web, motion and interactive design and UX, exhibition design and data visualization. Students develop an expansive professional portfolio, and graduate fully and competitively prepared to enter the profession. The curriculum provides a balance of theory and practice, a rigorous study of design, enhanced by coursework in the humanities and the physical and social sciences. Graphic Design students can also pursue advanced elective coursework in web and motion graphic design, kinetic and advanced typography, environmental graphic design, experimental publication design as well as other interdisciplinary special topics projects. This major features small class sizes and studio based instruction from a caring and accomplished faculty. The program is housed in outstanding facilities in the award-winning URBN Center which is home to numerous other design disciplines and an extensive array of technologies, which encourage interdisciplinary collaborations. All Graphic Design students work full-time for six months in their junior year as part of Drexel’s noted cooperative education program, and over 93% of our graduates are working as designers or in graduate school within one year of graduation. A high percentage of Graphic Design students study abroad and the Graphic Design program has a longstanding term-long program in London, England, and a shorter program in Japan. And, seniors in the Graphic Design program run a Graphic Design agency that creates most of this College’s print and web marketing and informational materials, as well as for clients from across the University for which are students are paid for their work. Drexel’s Graphic Design students are regularly recognized in competitions and publications such as Graphis, CA, Creative Quarterly, UCDA, winning on average over two dozen national and international awards each year. Other program highlights include the Spiegel Wilks Artist Residency Program, which brings prominent artists and designers to campus for lectures, workshops, and studio visits; the Silverstein Photography Studio Abroad Program and Lecture Series, and a close relationship with the Institute of Contemporary Art, which provides opportunities for students to experience and study contemporary art from around the world. In addition, students will benefit from unique cross-school partnerships like The Common Press and the opportunity to work side-by-side with standing faculty, graduate students, experts in the field, and faculty mentors on long-term research projects through the Center for Undergraduate Research & Fellowships. Note that the Fine Arts Program offers a Fine Arts Major for students in the College of Arts and Sciences and School of Engineering, and a Fine Arts Minor for undergraduate students across the university. The Fine Arts program works in conjunction with three interdisciplinary degree programs in Cinema Studies, Digital Media Design and Visual Studies. Fine Arts courses are available to all students at the university to take as electives in order to enhance multidisciplinary learning. Founded in 1884, Temple University serves 40,240 students enrolled in more than 400 academic programs through 17 colleges and schools. Tyler School of Art offers a BFA and MFA degrees in Graphic & Interactive Design. A 126 credit hour BFA in Graphic & Interactive Design (GAID) with Entrepreneurial Studies is also available, and is offered in partnership with the Fox School of Business. Per the school, all GAID students “learn how to develop design concepts, to make images, to work with typography and to master a wide range of new and traditional media.” BFA program highlights include design projects for print and interactive media including logo and collateral design for corporate identities, packaging, promotional campaigns, books, periodicals, websites, web apps and animation, visiting designers and illustrators and experienced faculty currently working in the field. Founded in 1855, Pennsylvania State University (Penn State) University Park is the largest campus in the Penn State system. The school serves around 46,610 students of the nearly 100,000 students being serves system-wide. Penn State offers more than 275 majors through 12 academic colleges. The College or Arts and Architecture houses the H. Campbell and Eleanor R. Stuckeman School of Architecture and Landscape Architecture. Here, students can earn a BDes in Graphic Design and an MFA offered in conjunction with the School of Visual Arts. The four-year BDes program prepares students for employment in prepare students for employment in Design Studios, Advertising Agencies, Packaging, Publication and Corporate Design, Film and Television, and Web and Interactive Design. Sample courses include Thinking Creatively: Defining Problems, Solving Problems, and Generating Ideas in Graphic Design, Graphic Design Studio, Advanced Typographic Systems, Graphic Design Technology, Time and Sequence, Package Design, and Practical Communications. Founded in 1982, Pennsylvania College of Art and Design (PCA&D) is a private, non-profit, professional art college that serves more than 200 students. The school offers BFA degrees in Digital Media, Fine Art, Graphic Design, Illustration, and Photography. The BFA in Graphic Design highlights competitive assignments, a required senior internship, and a final portfolio and senior exhibition. Sample courses for the program include Advanced Web Design, Advertising/Copywriting, Digital Design Production, History of Graphic Design & Emerging Trends, Interaction Design, Introduction to Time-Based Media, Motion Graphics, Packaging, Social Media Marketing & Communications, Typography and Visual Communication. Per the school, all PCA&D senior students are assigned individual studio spaces to help them develop and create their thesis projects. These spaces allow students to work alongside, collaborate, and be inspired by their fellow studio mates, as well as work individually with their instructors. The opportunity to store essential materials at their own space, students don’t need to transport materials back and forth from their apartments or homes. Graduates of the programs at PCA&D enjoy a 97% employment rate or graduate study enrollment within a year of graduation. Sample courses for Digital Photography, Fusion: Design Practice, Graphic Design: Brand Experience, Graphic Design: Word and Image, Introduction to Graphic Design, Product Design I: Form, Process & Concept, Painting, and Web Design I & II. The Product Design Concentration include many of the same courses Graphic Design, as well as Product Design II: Designing for Others, Product Design III: Material to Market, Sculpture I, and Furniture Design I. All students will have the opportunity to apply for departmental honors at the end of their junior year or the beginning of their senior year. Candidates may have to submit a research paper, design project or exhibition, and it must be accompanied by an oral presentation. Successful completion of the project and presentation will result in the “Department Honors” designation to the student's transcript. Jefferson was formed in 2017, through the merger of Philadelphia University (est. 1884) and Thomas Jefferson University (est. 1824). The school serves more than 7,500 students, making it Philadelphia’s fifth-largest university. Campuses are located in East Falls and Center City, Philadelphia, as well as in Atlantic, Bucks and Montgomery Counties. Programs are offered through 16 colleges, schools and institutes. The program also stresses “the ability to collaborate productively in interdisciplinary teams.” Students are expected to be “nimble and agile learners with the ability to change and adapt with technology and to fully embrace the concept of life-long learning.” Course highlights for the 126-127 credit hour program include Design 1-6, Ethics, Design Essentials, Design Theory and Criticism, Foundation for Web Design and Strategy, Global Diversity, History of Animated Cinema, Integrated Marketing Communications, and Management Foundations. During the final year, students will complete Capstone Folio Workshop, Design 7 for Graphic Design, Capstone for Graphic Design (Design 8), and Graphic Design Designated Electives (6 credits). Student work has been recognized by international, national and regional design competitions, with past students winning award at competitions such as the Adobe Design Achievement Awards, Philadelphia Design Awards, AIGA Philadelphia, How Magazine Interactive Design Awards Competition, Excellence in Graphic Design (Top Senior) Award, BYOB Nutrition Campaign: AIGA Philadelphia Student Design Competition, and many others.